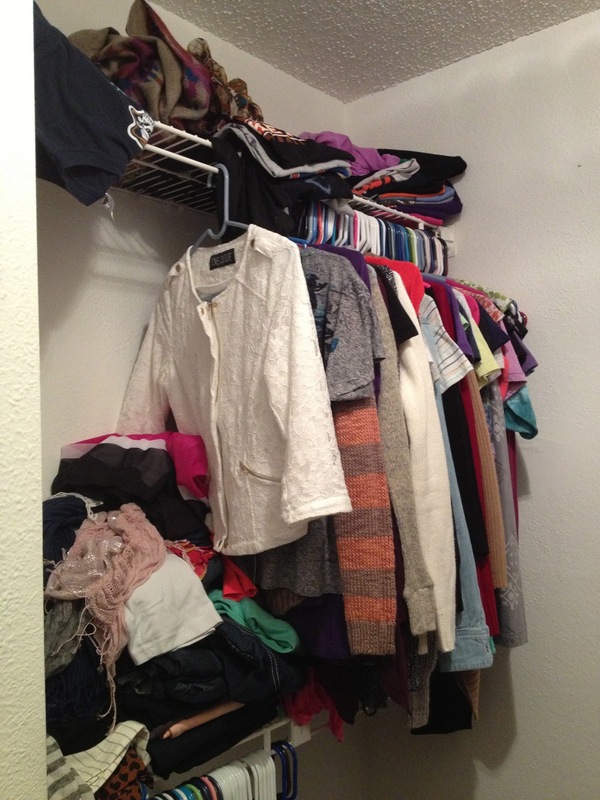 I thought it would be a good time to tackle the walk-in closet and get it organized! It was literally making me want to rip my hair out that is wasn’t organized at all! 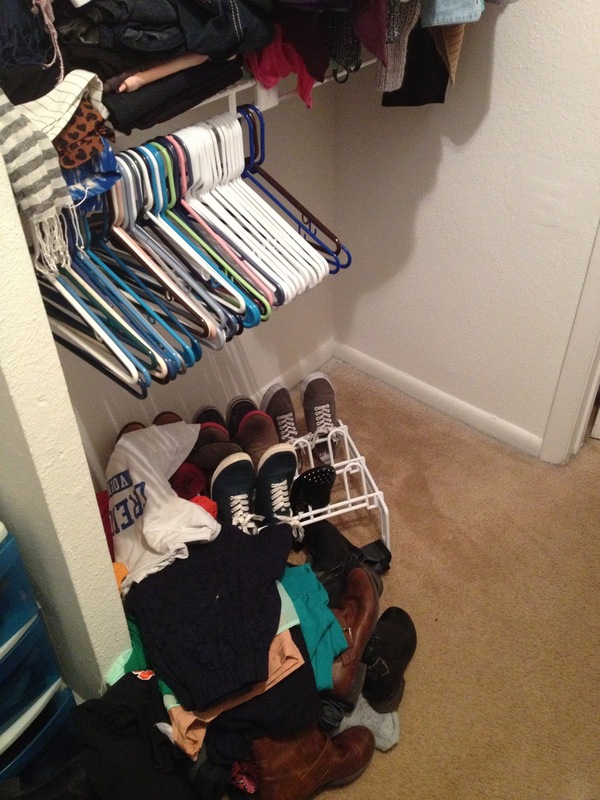 Here are some tips and tricks and what I did to organize my closet! Soooo much better than before! I am a huge fan of the ClosetMaid line, so I purchased two of the 2 drawer cabinets and a 15 cube organizer. They have so many options to chose from, and those were the best ones for my organizational needs. For my tank tops, T-shirts, and jeans I don’t wear as often I opted for the set of two drawer cabinets. They were the perfect size and fit everything I had. 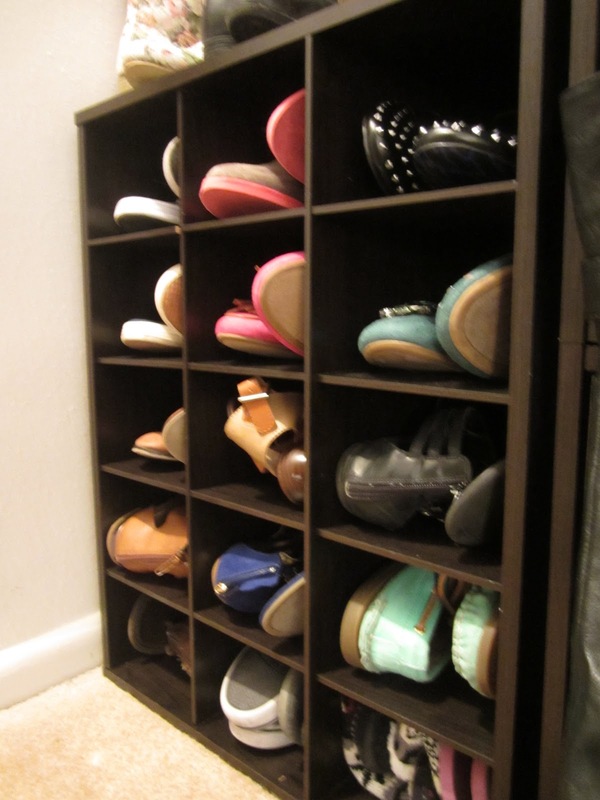 For shoes I used the 15 cube organizer, granted I have a few more pairs of shoes than 15, I figured this would work! 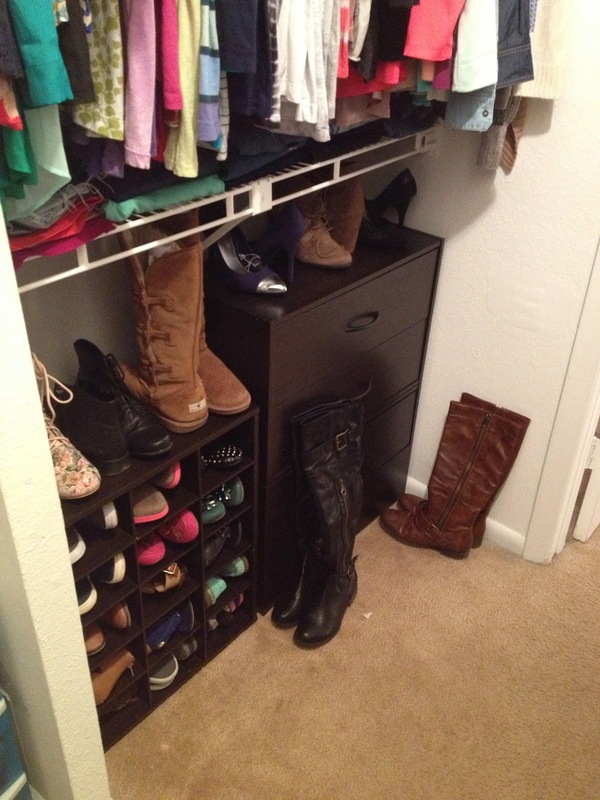 Since I had some space above the organizer I put my shorter boots on top. 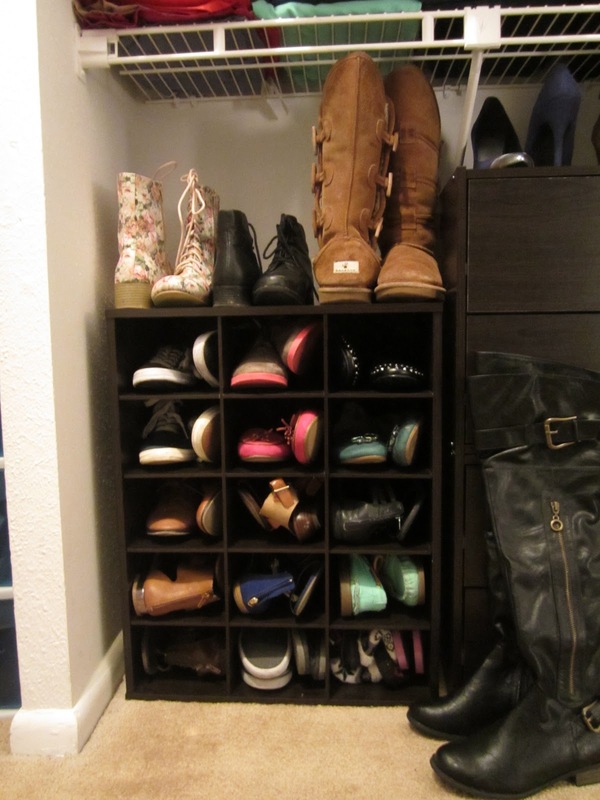 I really liked this because I can see all of my shoes and they are easily accessible. 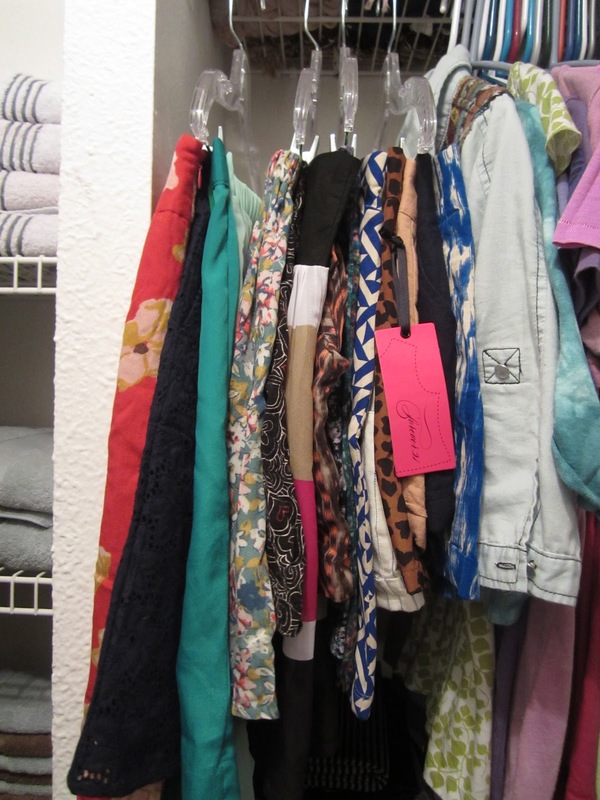 Multiple Items on One Hanger – To save money, I hung 4 – 5 skirts or shorts on the same hanger. Color Coordinate and Hang Like Items Together – This will make it easier for finding pieces and also let you know how much of each color you have. This is definitely going to help me when I go shopping, I’ll know what colors I need more of, and what items I have yet to add to my collection. Utilize Space – Figure out where you aren’t utilizing space and figure out how it could be used. 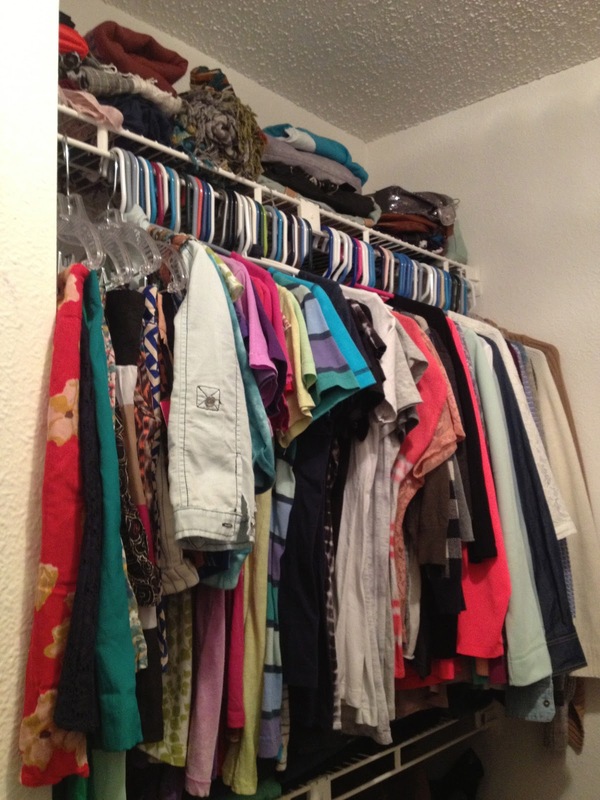 Hanging shelves or moving clothing around to make space below are some ideas. I hung my shorts and skirts on the top clothes line and put my folded jeans on the shelf below it. Designate An Area – Having a specific area for each item in your closet designated will help with organizing and keeping it clean. Keep Boots In Shape – Use old magazines or newspapers to prop up your boots. It helps keep the shape and makes them last longer. If you have extra space, you can also hang your boots on pant hangers to keep the shape too. Hopefully this helps with your organizing dilemma!